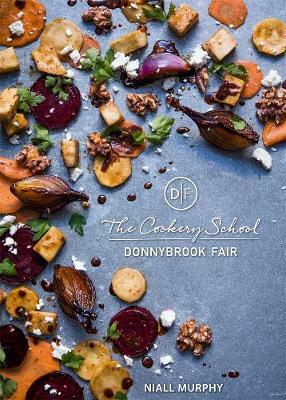 When Joe Doyle, MD of Donnybrook Fair, recruited Niall Murphy to run the cookery school at his flagship Donnybrook store in 2010 it was the start of a fruitful partnership that has seen the DF ethos - 'a gourmet food company dedicated to excellence' - combined with Niall's philosopy that 'simple food, brilliantly done is unbeatable' to triumphant effect. Since then, Niall and the many high-profile guest chefs the school has featured have shared this message with thousands of people of all ages who have attended the regular demonstrations and hands-on classes at the cookery school. In this book the most popular recipes from the courses have been collected together for the first time in one place. Topics covered include: great-start breakfasts, the art of breadmaking, stunning starters, cooking meat to perfection, easy seafood, winter and summer soups, sensational sauces, tapas, one-pot wonders, curry nights, sushi and chocolate heaven.